Cuyler Shaw, Of Counsel and formerly Partner at Ashford & Wriston, has practiced with the firm since 1973. Mr. Shaw serves as transactional counsel for Hawaii Medical Service Association, Hawaii's Blue Cross/Blue Shield health plan. Other clients include the City Square and Waimalu Plaza Shopping Centers (Oahu) , the Department of Hawaiian Home Lands ( commercial leasing) , Bank of Hawaii ( special assets) , The Takitani Foundation, Barnwell Industries, Inc., KD Kaupulehu, LLLP (Big Island) and Maui Divers of Hawaii, Ltd. Mr. Shaw's clients also include hotel and real estate projects on Guam and Saipan. 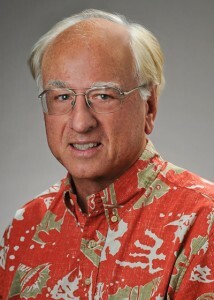 Mr. Shaw is an advisory director of the Hawaii Restaurant Association. Mr. Shaw participates as a lecturer on business organization in entrepreneurship training programs.